I made these on Saturday but they tasted even better on Sunday and Monday! The texture improved giving them more of a chewy quality. This was a recipe I originally saw on a package and tweaked by taking something out and adding a couple of other things. Cream the butter with the sugars. Add the egg, Salt and Vanilla and combine with the creamed ingredients. Lastly mix in your Almond meal, Flour and Chocolate Chips. When its all well combined, drop spoonfuls onto baking sheets and cook in a preheated oven at 160 deg for about 20 minutes. Friendly Reminder - This one would not be suitable for Lunch boxes as it contains Almond meal. 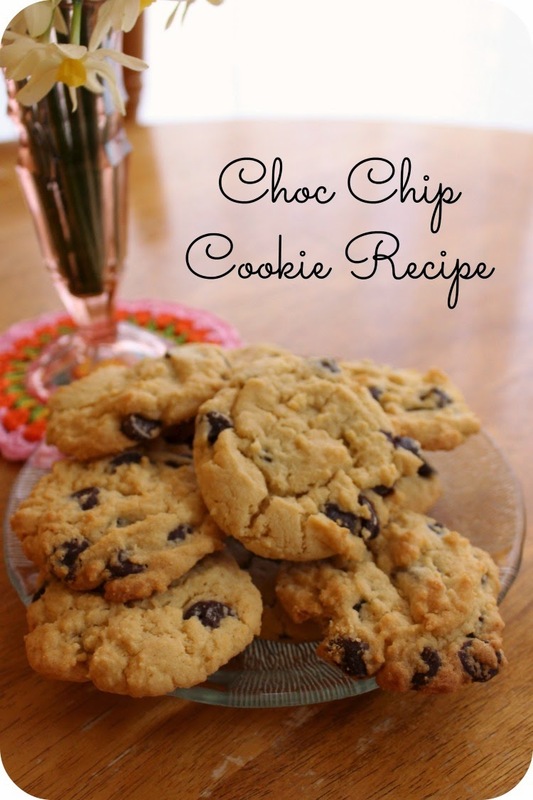 Notes :- I used Dark choc chips between 3/4 and 1 cup and I used Golden caster Sugar. My flour blend is predominately white but contains Wholemeal too. Your butter biscuits are on my hit list now too! They really are Good Melissa.